Searchdaimon ES is a enterprise search engine that comes as a virtual appliance (to be run on VMware, Xen, Virtualbox etc), hardware appliance or installed on own dedicated server. It is one of the few that supports Microsoft Active Directory and ACL based security. You can try a demo of Searchdaimon ES online here. 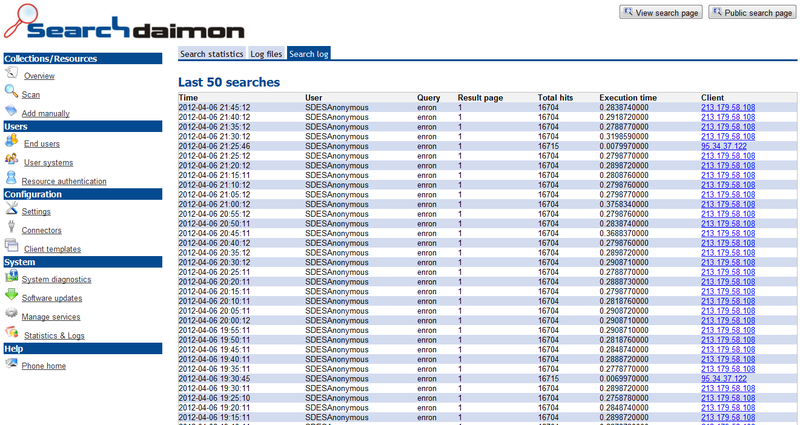 Searchdaimon ES has a classic looking search result page. 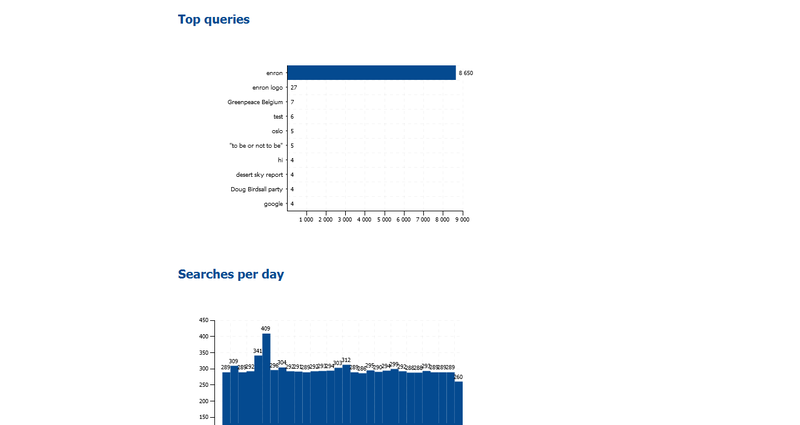 Most hits has a titel, two lines of hillited text extract and some meta data on the bottom. 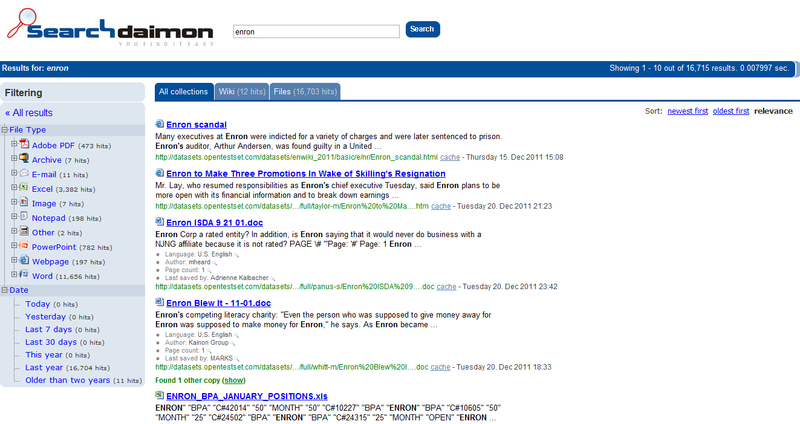 Searchdaimon ES has a good web based administration interface. 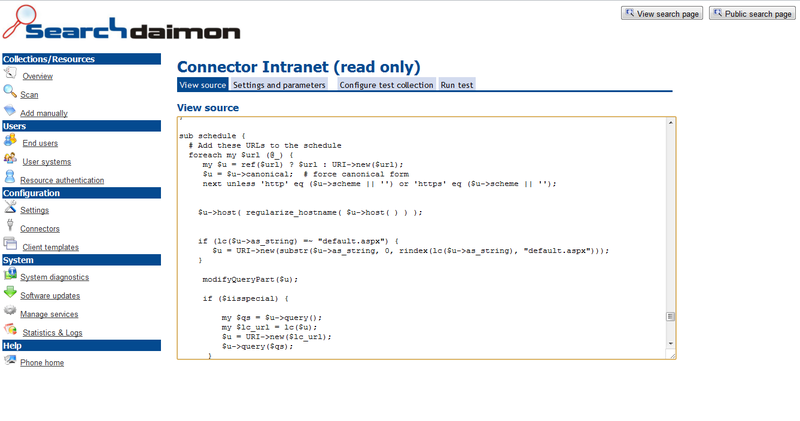 The administrator interface has some innovative functions like the possibility to write and modify the source code for connectors directly in the gui.